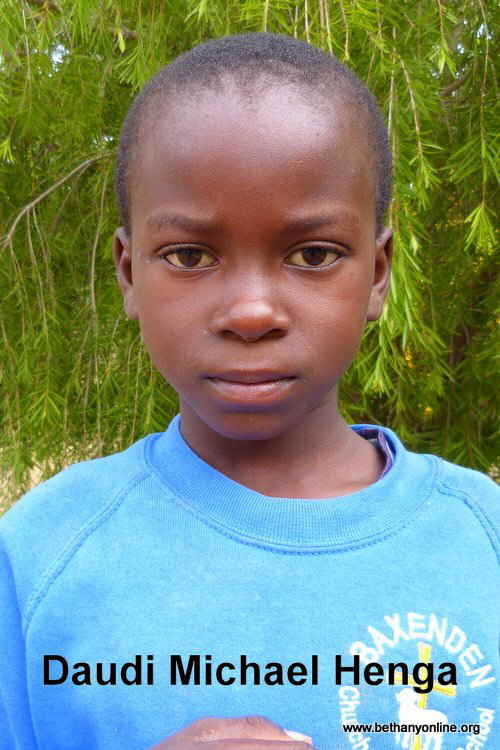 Daudi’s father died of excessive drinking which led to severe diarrhoea, vomiting and his death. His mother (widow) has no particular job to do as she is just a house wife and has left with three children. She struggles a lot to feed the children because she relied totally on her husband to provide for the family. She is from time to time very ill and so she cannot really do very much. Daudi has got uncles who are very very aggressive and do not want to know what is happening to him. They are also addicted to alcohol and really their families are suffering. They have no good values and no good future even for their own children so they couldn’t think of any extended family members. His mother went to see the social welfare officer for some help. After further investigation of the family and that his uncles were not prepared and not interested in looking after Daudi, social welfare consulted Bethany as a last result to rescue this boy’s life for the better future. Since he joined the Bethany family, he is copping ok with his fellow children.